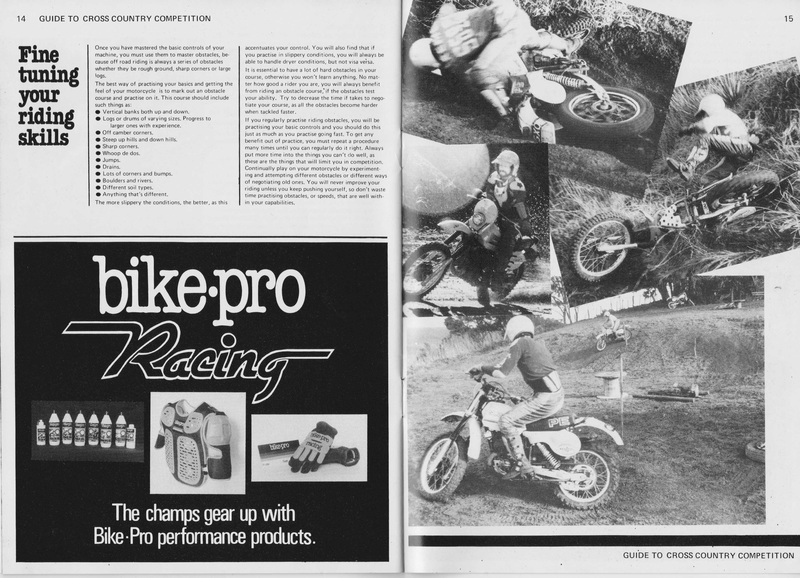 In 1980 the enduro bike market was hot and all the big four Japanese manufacturers fielded a range of bikes. 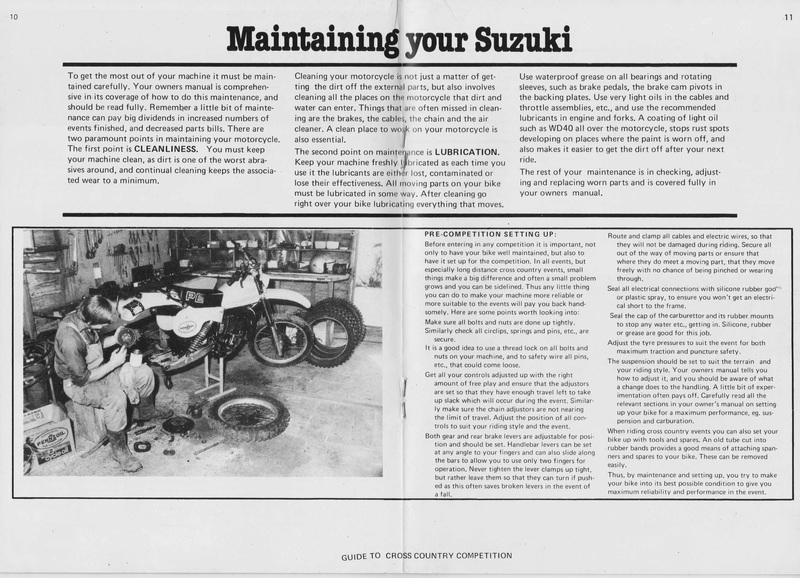 Suzuki had produced successful two stroke 175 and 250 cc PE (Pure Enduro) models and so it was in 1980 that they followed this up with an all new range of T designated models, the PE175, PE 250 and PE 400. New to the range was the four stroke DR400, based on the 370cc dual purpose bike. 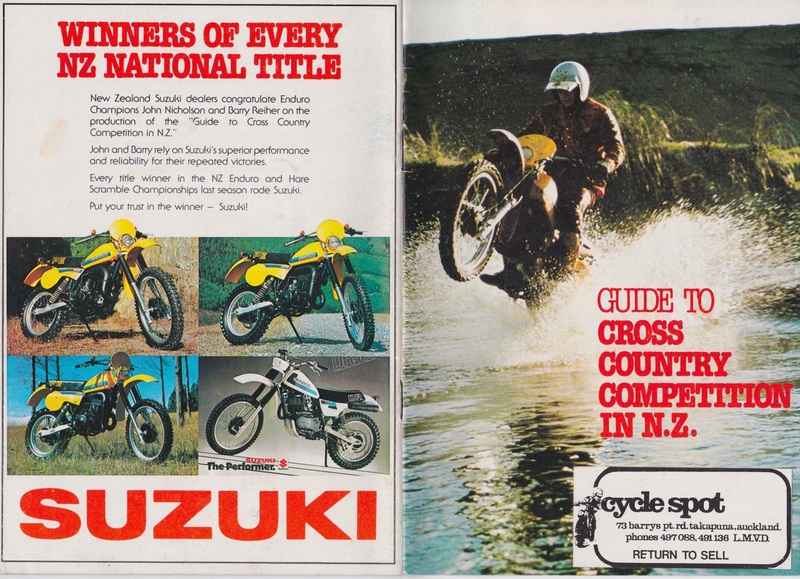 In New Zealand Suzuki fielded teams in all the National MX, Cross Country and Enduro competitions. 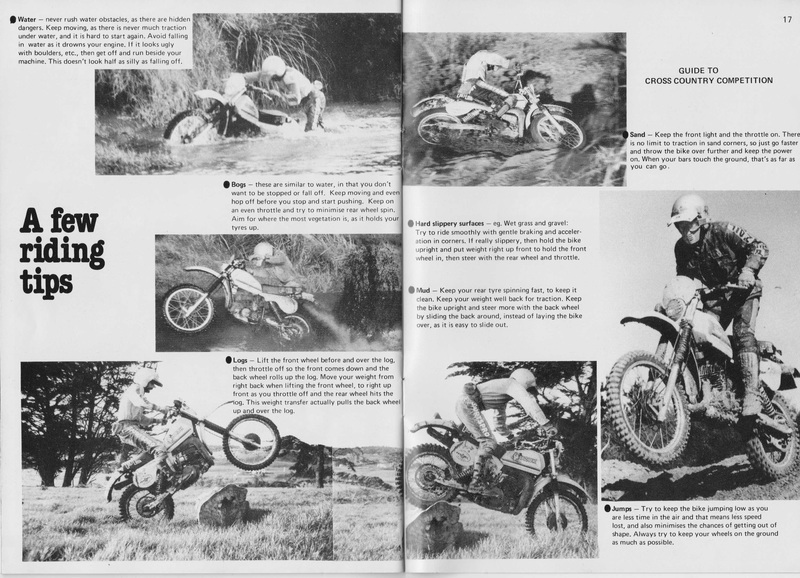 The enduro team comprised Barry Reiher on the PE175, myself on a PE 250 and Lester Yates on the big PE400. 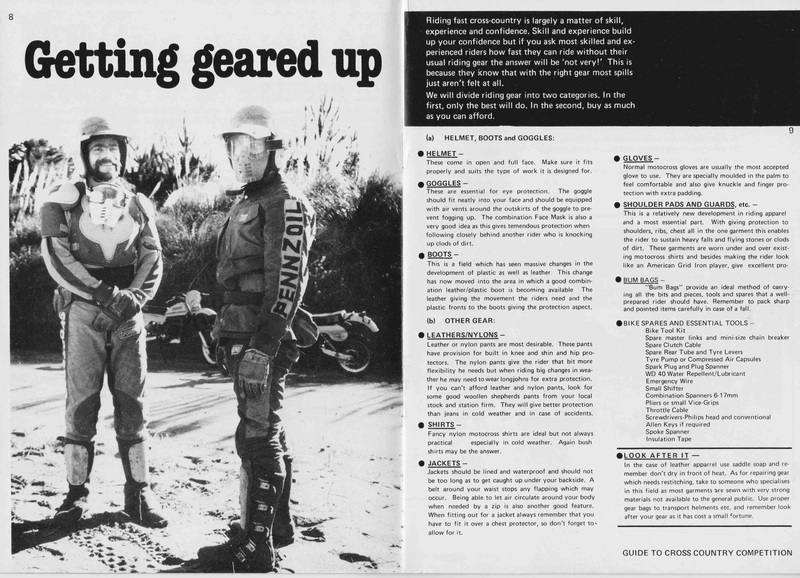 We had a great year in 1980 but seemingly at the crest of the wave a little more than a year later the enduro range was axed leaving many enthusiasts wondering what to buy. 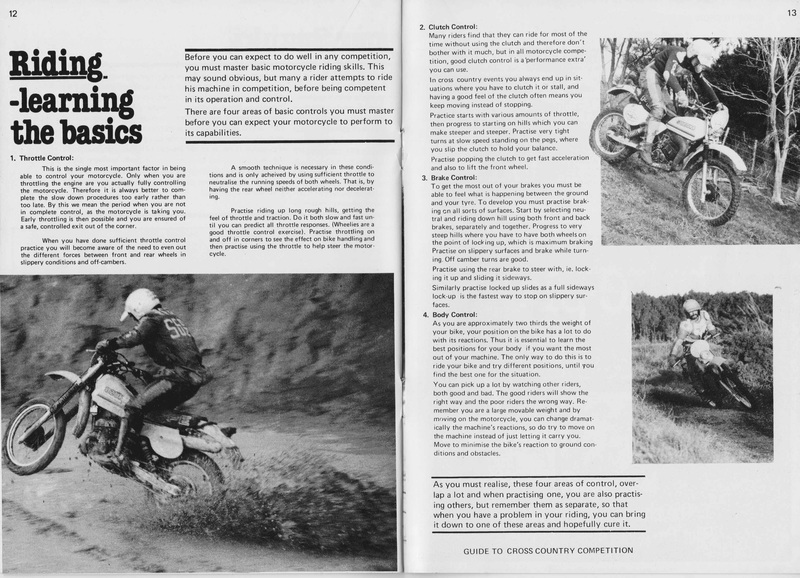 It was many years away to the RMX250 and at the time of writing Suzuki place scant emphasis on Enduro. 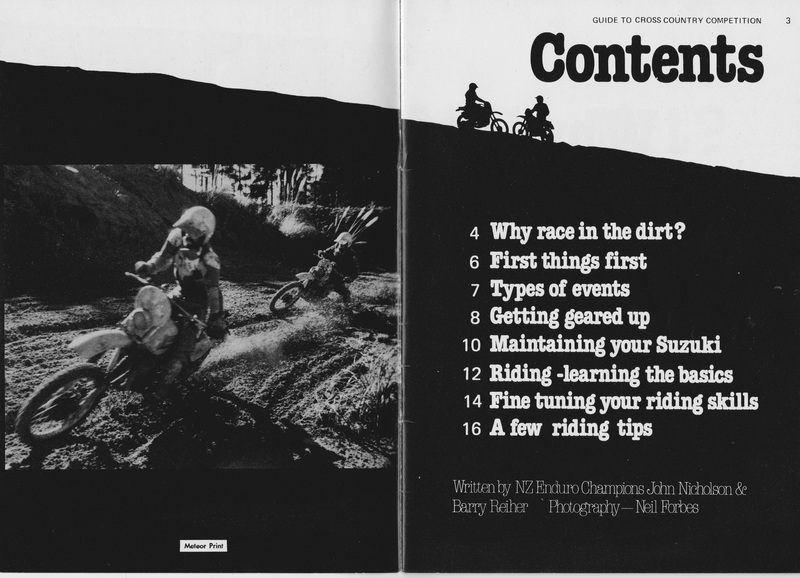 The Suzuki Guide to Cross Country Competition was a project fostered by Rod Coleman and it fell mainly on myself and fellow Team member Barry Reiher to write the booklet, with Neil Forbes doing the photos and production. 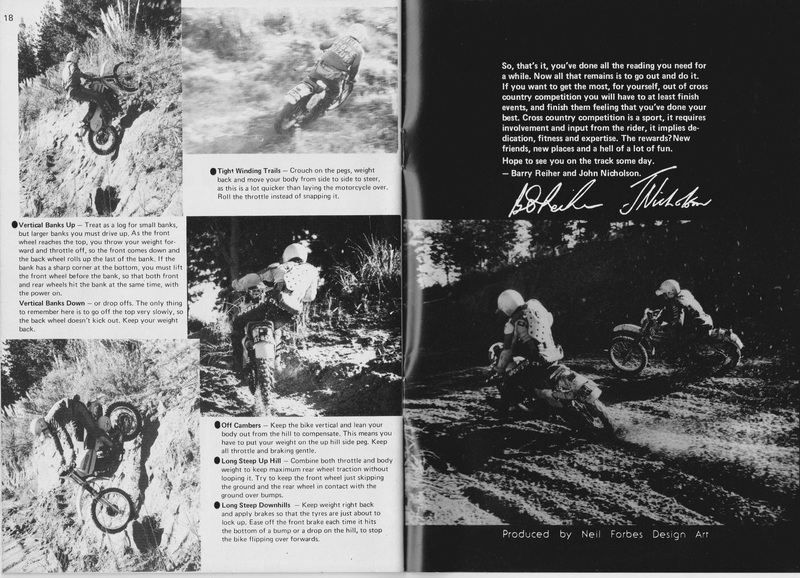 Rod was however the boss and a man with justifiably strong ideas on how to ride a motorcycle, so he insisted on writing the paragraph on throttle control himself. 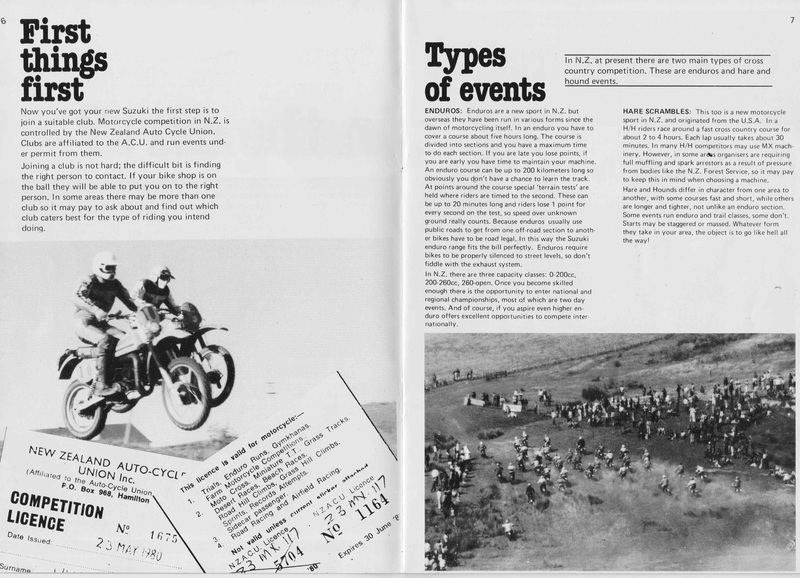 Its' all pretty basic stuff by modern media production standards but in the very limited space available the booklet tried to encapsulate some of the techniques and ideas the Barry and I passed on at Enduro Schools at the time. 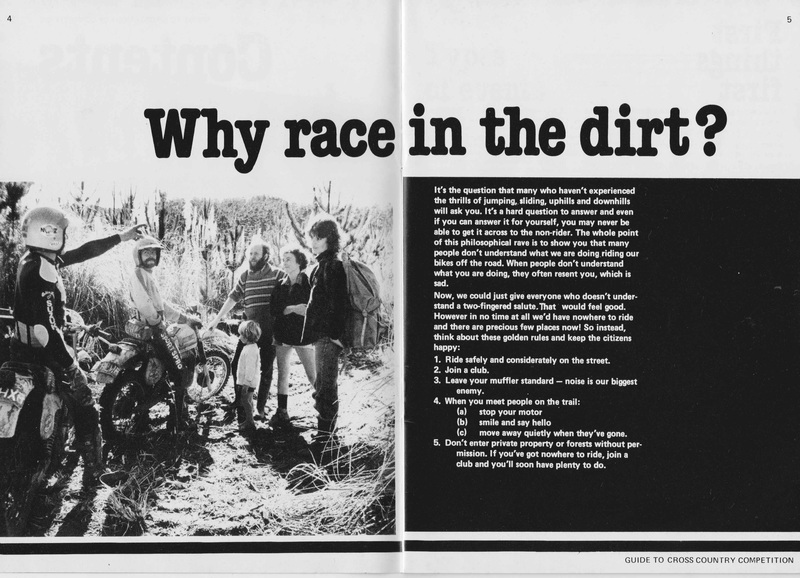 Today, every time I go to a muddy trail ride I'm reminded that though the machinery has evolved to an incredible level, riding skills have not and that the skills tips are as relevant today.